Working with more than 5,000 schools across Europe in the framework of numerous European initiatives and Policy Support Actions (e.g. Inspiring Science Education, Go-Lab, Pathway, Ark of Inquiry, RRI Tools, UDLnet) over the last five years has proven that a school that effectively introduces innovations in education is an engaging environment not only for the students and teachers. Progressively it brings families, community groups, local businesses, international experts, universities, and other stakeholders into what we term an “Open School”. An Open School culture imports external ideas that challenge internal views and beliefs and, in turn, exports its students – and their assets – to the community it serves. Such an engaging environment makes a vital contribution to its community: student projects meet real needs in the community outside of school, they are presented publicly, and draw upon local expertise and experience. The school environment fosters learner independence – and interdependence – through collaboration, mentoring, and through providing opportunities for learners to understand and interrogate their place in the world. An Open School Culture recognises the important part that students can play as peer enquirers / researchers, and welcomes their active involvement. There are, however, no quick fixes in the world of education. Instead, education policy makers must support and commit to the laborious task of incrementally improving the competences of the teachers we train and the environment in which they teach, whilst providing teachers with a respect and trust commensurate according their critical societal roles. In this evolutionary context, the consolidation of “good practice” looks for a bottom-up approach to setting the grassroots for new school learning innovations and, at the same time, for an effective approach to holistic policy-making, in order to reach the right balance with top-down planning, thus meeting the challenges for emerging paradigms concerning access to learning, the creation and sharing of knowledge and the building of competences in learning communities. Open School Culture. An Open School culture imports external ideas that challenge internal views and beliefs and, in turn, exports its students – and their assets – to the community it serves. Such an engaging environment makes a vital contribution to its community: student projects meet real needs in the community outside of school, they are presented publicly, and draw upon local expertise and experience. 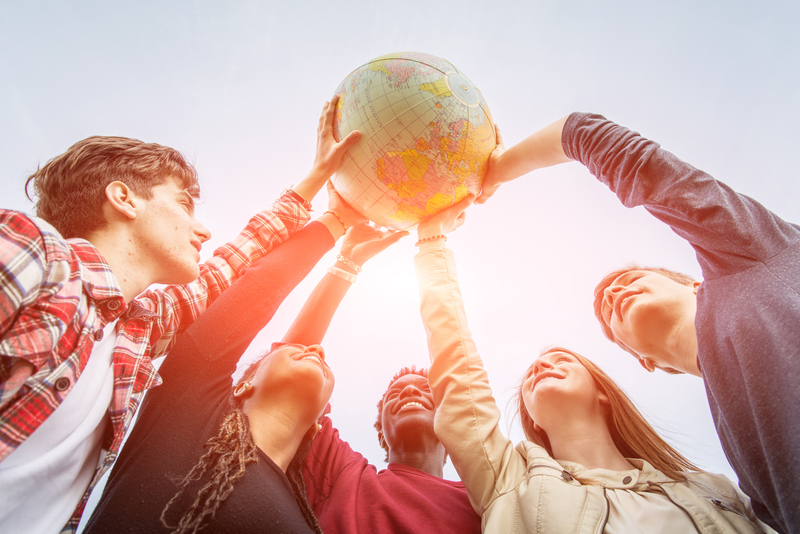 The school environment fosters learner independence – and interdependence – through collaboration, mentoring, and through providing opportunities for learners to understand and interrogate their place in the world. Project-Based Learning. Whilst teachers will draw distinctions between project, inquiry, and problem based learning, in reality the differences are minor – particularly in comparison to more transmissive, lecture or worksheet-based forms of learning. Great projects grow from inquiries in order to solve problems. Students found them highly engaging because they are conducting work that is meaningful, to them and their families or communities. Learning begins with a problem to be solved, and the problem is posed in such a way that children need to gain new knowledge before they can solve the problem. Rather than seeking a single correct answer, children interpret the problem, gather needed information, identify possible solutions, evaluate options and present conclusions. They relish the opportunity to make adult-world connections, work across disciplines, and in extended blocks of time. Schools and Responsible Citizenship. Responsible Citizenship views citizenship as a total practice of responsibility between individuals and their political, social, economic and natural environment. It goes beyond formal relationships of rights and duties between the citizen and the state, and stretches the spatial, temporal and material boundaries of citizenship to those of the global economy. Since Responsible Citizenship extends citizenship responsibilities to an expanded notion of equity and caretaking and gives more weight to universal principles of democracy, human rights and global commons, some scholars claim that this new version of citizenship has the potential to challenge and change the underlying structural, root causes that led to environmental and social justice problems in the first place.